Well, I couldn’t decide whether to use Flo from tv’s Alice- “Kiss my grits!” or Florence Henderson (because hello, Mrs. Brady! ), so I did both. We’ll see if I have the time, energy, and/or inclination to do one with the Progressive Auto Insurance lady, also Flo. Stay safe, everyone! Hopefully she’s kinder and gentler Florence, like Mrs. Brady. The summer is quickly behind us, and now we begin the next season with another enormous whoosh! On top of the milestone that is “My First Child Starts Kindergarten”, I have been as busy as ever preparing to help open a beautiful new church in Timonium, MD… Church of Nativity’s new sanctuary. 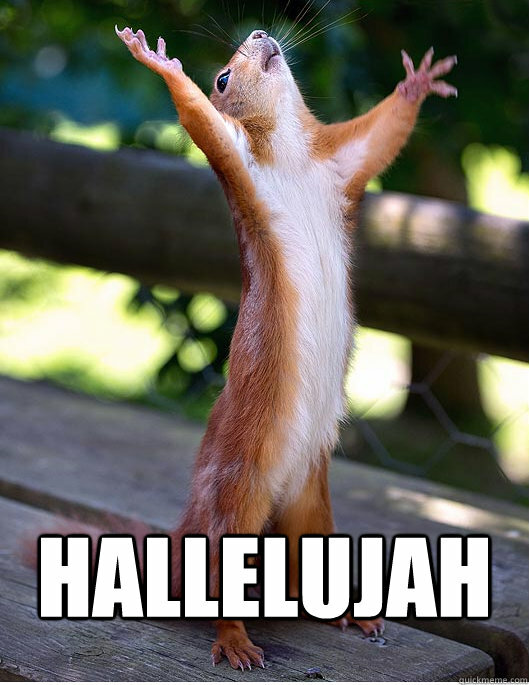 So, on top of mini vacations/summer activities, school supply shopping, kid rearing/regular house stuff, and virtual tour making (my work-at-home job)- I’ve been going to rehearsal after rehearsal, working out kinks of a brand new room and sound system, giving a concert for the many amazing volunteers this church has, more rehearsals, song preparations- and now- the final week leading up to the Grand Opening and Kick-Off Weekend of this new state of the art church. All this AND I get to play with these wonderful fellow musicians/friends? How blessed am I? Don’t think for a second I don’t know! We drove by after the State Fair on Labor Day and Brian snapped a photo. Basically me in school, just wanting it to be over with so I could go work on important things like music and writing. People asking too many questions was just one struggle. I’m glad I’ll be able to go with him the first day for a few hours, just so see how things are going and flowing. He will be on regular schedule after that and I will begin my schedule of madness leading up to Sunday- which includes rehearsals- one on Thursday, three on Saturday. Then four masses and one special performance on Sunday. After that, I can breathe a little, though I will be doing all five masses per Sunday through Oct. 8- which is a great thing! I’m happy to be busy! Add one baby, one cat, and two dogs! This new space- the church- what a freeing environment. Without giving away too much too soon, I’m all wireless- ears and mic- with nothing between me and the people. I don’t have a line of mic stands and equipment in front of me. It’s a very clean area, which is a welcome change to every scenario I’ve been a part of since the days of mic-less plays I used to be a part of in my youth. This is as good as it gets… and about all I’m at liberty to say until this is all unveiled. You may wonder, where has WayOutMama been? But probably not. If you are reading this, you are most likely already my friend in real life, or at the very least on Facebook. If that is the case, you understand the glaring gap in my blogging history without explanation. 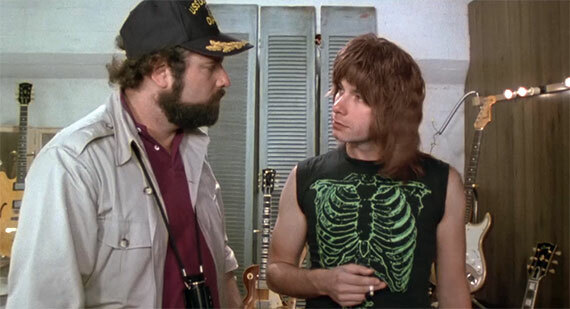 But for those of you just coming in, I feel like someone who’s been out of the workforce and is now trying to explain the space in my timeline on my resume. But I don’t need to do that, do I? We’re friends, right? Since last I left you, I had a 3 year old and an 8 month old. I worked 2 part time jobs, one from home, the other- music, which is classically a very erratic schedule with plenty of late nights. We were living in a little row house, which we had definitely outgrown. The year was spent casing out many houses, until we finally settled on our dream house in a cute little town 20 minutes from where we were, but more centrally located to where we needed to be. We settled in January on the day of a blizzard which brought an historic 29 inches of snowfall. We moved in and got snowed in on the same day. Luckily, we had everything we needed, the power stayed on, and we took it as an opportunity to unpack. We settled, unloaded the truck, and the snow started! 29 inches by the next day! A month later, I was pregnant. Imagine that! I was just getting used to 2 kids, and now the thought of 3? Overwhelming! At least we had plenty of room, now. I might have lost it if we were still in the row house! Over the summer, when I was 4-5 months pregnant, my husband had a health scare that could have been fatal if it hadn’t been caught in time. Thank goodness is was, and just a surgery later, we were in the clear. We had a very stressful month or so, waiting on results and his recovery from surgery. We breathed a huge sigh of relief, and moved forward, so very thankful for our many blessings. My 4 year old started preschool then I was 8 months pregnant. My sweet William arrived at the end of the September. I sang up until 4 days before the birth, and started back up 3 weeks after. Here’s a picture of me of the gig just before the birth….. Enter into the Christmas season, which was so bittersweet as it was my baby’s first Christmas, and our first Christmas in our new house with kids who understand a little more now. But on the down side, my dear friend and bandmate’s life on earth was coming to a close after a 3 year battle with cancer. To say this man was a walking angel is an understatement. A tremendous son, husband, father, friend, musician, coach, inspiration to so many, Rob Belanger was the tops, in so many ways. He is missed by many, and is missed still so much by me. Christmas Morning – she can’t even. In January, another loss hit us- Jesse, our dog, finally lost her battle with cancer. She was given 6 weeks to live 2 and a half years prior, so she had quite an extra bonus life. We had wanted to get a puppy while she was still with us, but toward the end, it would have been too much with a tiny infant in the house, and the care that she needed. I like to call this one, “Snow Tutu”. She was actually running top speed through snow! About a month after Jesse passed, we welcomed Arlo into the fold. He was born on my husband’s great uncle’s farm. My husband and son went up for a visit, and came back with this little bundle of beagle. I never understood Snoopy so much until I met this little guy. Beagles are so funny and full of character, and the kids love him. 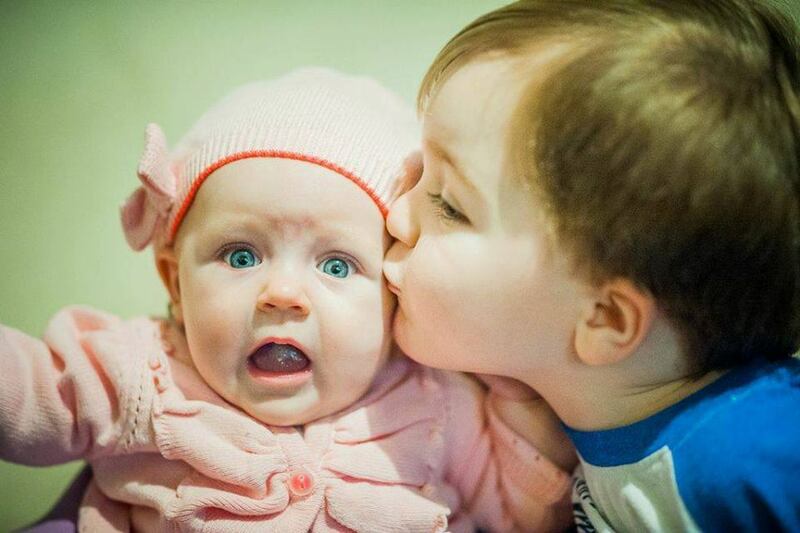 One kid in particular was the center of Arlo’s affections… the baby! He just cuddled up to him immediately as if he was one of his own. Sweetest. Thing. Ever. We had already planned on getting a bigger dog, an Anatolian Shepherd, but we were unsure if it was going to happen or not. Well, it happened, just 2 weeks later. Welcome, Finn, our big beautiful puppy! Jesse was half Anatolian Shepherd… Finn is full. They are so much alike it is eerie! It was a year and a half jam-packed with every emotion possible. I’m looking forward to keeping you posted from here on out! My Real Life Peanuts- singing and dancing in the rain! Until then, have a WayOut day! “What’s YOUR name?” I asked my then 2 year old. He hadn’t said much up until that point- the regular, “Mama, Dada, doggy, hi, bye bye” and the like. My sister and I were sitting with him on the lawn of a summer concert where I’d just performed and we were relaxing afterwards, watching the kids run around. “What’s YOUR name?” I asked again. “Patrick. Patrick.” I pointed at him. And he is. He’s not only the light of our lives, but for so many people. From family and friends to complete strangers out around town. Even people who’ve just seen his picture on Facebook tell me when I see them, “I can’t get enough of your precious pictures of Patrick. He just makes me happy.” When we meet people who’ve only seen him in pictures, they tell me, “I feel like I’m meeting a celebrity.” And I can see their genuine excitement. That’s our boy. Inspiring smiles, even from afar. Most recently, Happy has become a big brother- and he’s a sweet big brother. He loves his “Babyyemmie” He sings songs to her and came up with her theme song. It’s actually more of a tribal chant that has a crazy little dance that goes with it. “BABYEMMIE, BABYEMMIE, BABYEMMIE, BABYEMMIE”. It’s so funny, and he has us all doing it! Our little Happy. We are so happy he “came to our house”, to quote an old saying we use in our family. Happy Birthday, Happy! We love you! 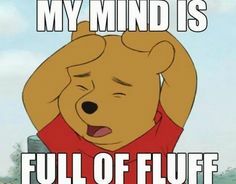 “Like Sand Through the Hourglass”… and now introducing… mind fluff! This is probably THE most asked question I get these days. This is mostly from people who are about to be in my position, or are thinking about it. 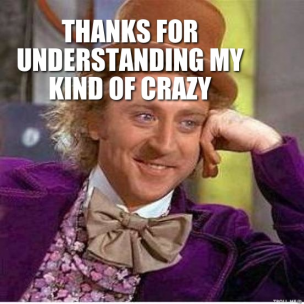 Though, not always… some people have been through it and want to know how my experience stacks up to theirs. Some don’t have kids at all and wonder how anyone manages one kid, much less two. Now that I’ve had 5 months with the two of them, it’s becoming a little more clear. I wrote the paragraph above two hours ago. It wasn’t even a complete thought until I reworded it completely! Since then, I’ve changed two diapers and fed a toddler twice and a baby once. Squeeze in a couple of “bounce on the lap songs” for two kids- which is pretty dangerous when you’ve got the toddler naked from the waist down. We decided last night that we’d try the potty this morning. So, we have tried it twice, with no results. But I figure, I’ll just keep him naked until something happens. Annnnd….. fast-forward to an hour and a half later. Well the big news is that Patrick, out of nowhere, says, “Diaper, Mommy, diaper!! !” I said, “No… let’s try the potty!! !” So we raced up the stairs and into the bathroom. He was so unsure of this, even though he has sat on the potty before. But I could see on his face that it was finally all coming together in his mind. He almost cried. I said, “It’s ok, just go in the potty.” And there it was…. trickle trickle, followed by a look of amazement. We both laughed and cheered. It was the best. He kept going… and going. I was hoping that he was ready to poop too, but no such luck. So I still have a little Donald Duck running around. And by that, I mean a toddler wearing a shirt and no pants, waiting for further instructions from the poop universe, or, “poopiverse”, as I have just decided to call it from now on. If I get NOTHING else accomplished today, it will be ok. HE WENT ON THE POTTY. Fast forward to an hour later. He has now peed on his play mat. I’m thankful for that- at least it was on the mat, as it was an easy cleanup. No big deal. We went up to the potty, sat down, did nothing, flushed anyway, got a diaper and decided to wrap it all up with a nap. Meanwhile, baby practices tummy time on her blanket. Possibly too much tummy time. But that’s ok. She probably needed it. So where was I? How is having 2 kids? It’s hard. I feel like I’m 80% reactionary. 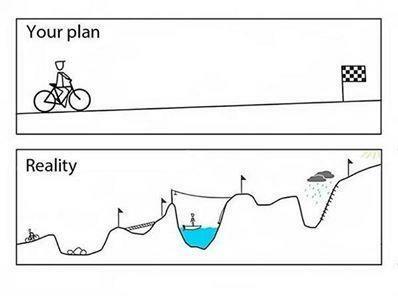 I can plan all I want, but those plans are usually dashed within 2 hours. So now I just sort of go with the “daily mental checklist” with no times attached. I just squeeze everything in, in between the many diapers and feedings and consolations and playtime. But I manage to get to the important things- like laundry, dishes, and even dinner sometimes. Luckily I can listen to the songs I need to learn, so at least they are just playing throughout the day and getting ear-wormed into my brain. When I get a moment I will go to the piano (which is at arms length) and run through them for extra solidification. I get plenty of internet time when I’m feeding the baby. What else am I going to do when pinned down? Oh yeah, then there is the side work I do- making virtual tours for a real estate company. They are done during said feedings and in between everything else. 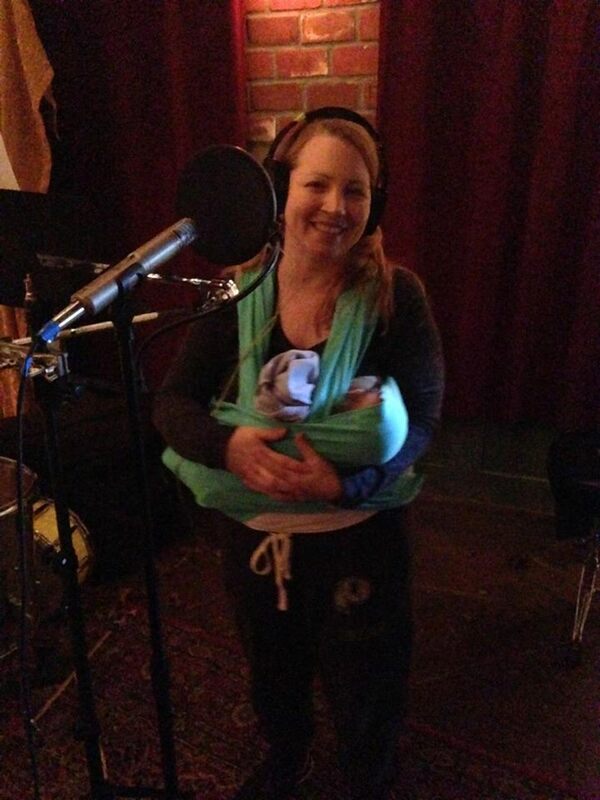 Thanks to dad and family, I haven’t missed a deadline, rehearsal or gig since the baby was born. And somehow I’ve managed to be prepared. Priorities and Multitasking- I can’t stress these two enough. Things that fall through the cracks for me are keeping up with emails and calls that are not work related. I apologize to anyone waiting for me to respond to them. 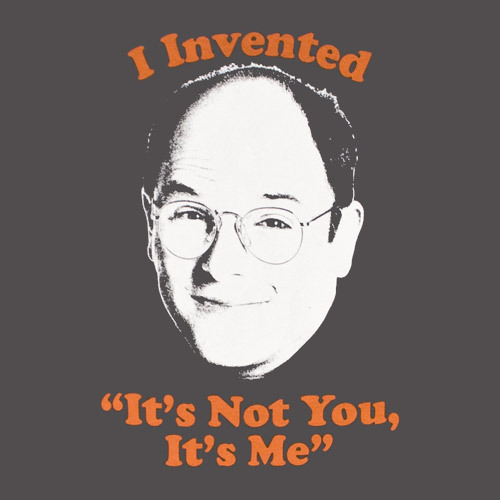 “It’s not you, it’s me.” to quote George Costanza. Ok, fast-forward a couple of weeks. That’s right WEEKS. I now have a 6 month old. When I first started this, she was still 5 months, and it was a couple of weeks before Easter, a VERY busy time for anyone in a church band. We had 2 rehearsals the week before and 4 masses to play for on Easter Sunday. So of course, being me, I also squeezed in an internet radio interview, which thankfully, we were able to do by phone! And thank goodness my cousin stopped by. She fed the baby and watched the 2 year old run around while I went outside so I could actually hear the questions that were being asked. I suppose the final answer, looking back on the last 6 months is that some things are easier and some things are harder. The actual taking care of baby is much easier. There’s no poring over the minutia of milestone accomplishments, whether my baby is healthy, normal, on track… you know, not to the obsessive point that I did with my first. I don’t even think about diapers, or feeding- we just do it. I don’t worry about every little thing, nor do I have a WebMd and Baby Center in their own window, just waiting for me to look something up. Doing everything for everyone is tough, but not impossible. It can be exhausting. Some days you may feel like you’ll never get it together. Can you do it all? Yes. 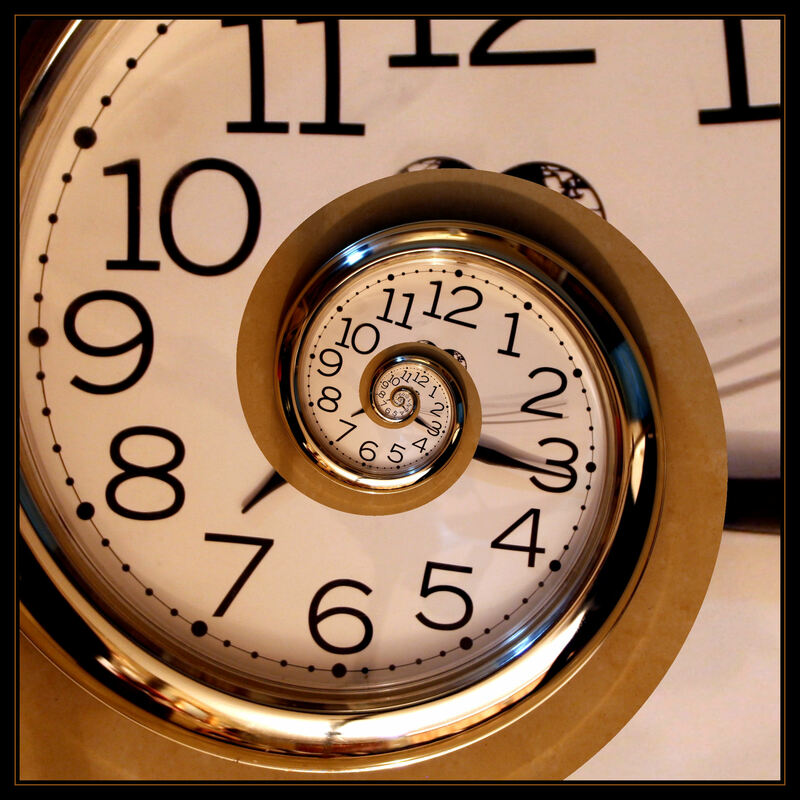 There is time for everything, but maybe not in the timeframe you expect. The sooner you learn that, the better- for your mind, body and soul. You realize what your priorities are. And the priorities change daily. Some days you will get nothing done. Some days you won’t believe how much you accomplished. Celebrating those accomplishments and not beating yourself up for the off days are equally important. Some days a shower is top priority. Most days, it is far from it. The hard part is that it can be physically and mentally exhausting. Try getting a baby to take a nap- one who fights it like crazy and who is also a VERY light sleeper- while keeping a toddler quiet who hasn’t quite grasped the concept of “whispering”. Impossible. 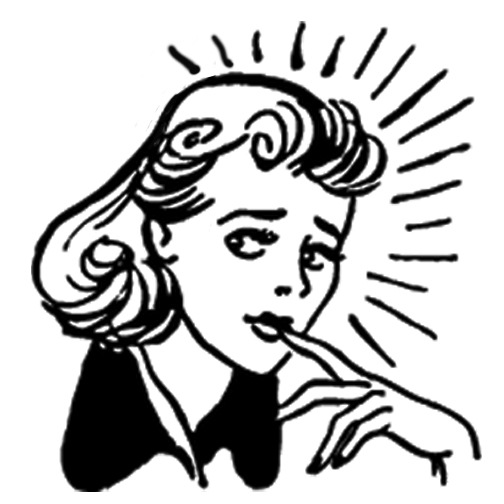 Imagine every time you turn around, the things you just put away are back out- along with 10 other things. Infuriating. I’m pretty easy going, and even I have had to take a step back and realize that I can’t control… well…. ANYTHING. This is not news, exactly. None of us can, but nothing like having 2 kids to remind you on a daily basis. 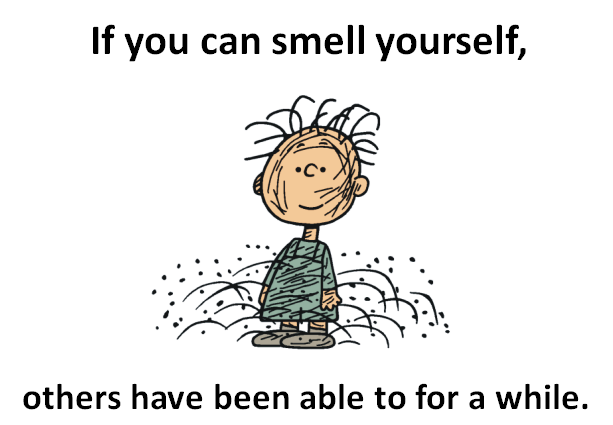 Ok, sometimes an hourly basis. Oh, you think you are going to make it to Story Time on time? EVER? Think again! You think you are going to have a fun playdate? Nope. Kids get sick all the time. You think you can go to the bank, Target and grocery store? Sorry, you now have a 2-Stop policy in effect. And so go the best laid plans. Somehow it all gets done. (I write this as I think of the mountain of laundry I still have to fold after being clean for a day and a half. Oh, who am I kidding? That is happening tomorrow, with any luck!) 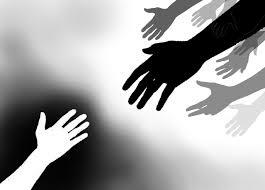 If I were to offer any advice, it would be to welcome all help- whether from your partner, family, or friends- any little bit helps. Just yesterday my sister-in-law asked if I wanted her to go to the store with me. I didn’t think I needed “help” so much, but I said “Sure!”… and it was admittedly much easier with a couple of extra hands. I think I just heard the baby say “Mama” in the next room. That would be a first. But she’s so happy playing by herself, I’m not even going to bother her. I’m just happy that she’s happy and nobody is crying and I’m able to have a cohesive thought and a moment “to myself”. I put that in quotes because there really are very few moments to myself, I tend to stretch the meaning of “alone”. If they are on the floor sitting next to me and it’s quiet, that’s “alone” now. Since another day has passed since the previous paragraph, I suppose I ought to wrap this up, otherwise I could go on and on, chronicling our daily routine and adding thoughts I KNOW I’ve forgotten to say. I think this 3 week long blog entry pretty much sums up what it’s like to have two kids, 2 and a half and under. Writing this wasn’t easy and it took forever- but I got it done- in my own time! Addendum: I’m not going to lie. It has taken me an exact WEEK to add pictures, proofread and post this. Tell me how it is (or was) for you! The fact that I am just now, on February 4th, getting to my Last Year Wrap-Up should tell you something. Way Out Mama is one busy mama. Let’s backtrack to… hmm… let’s say September. September 2013 marked the beginning of the 2nd “Busy Season” for anyone in a wedding/corporate band. Now, let’s also remember that I was 8 months pregnant just going into it this year. I was booked solid- every Saturday and Sunday in September. I also had gigs every Saturday/Sunday in October, one was two days before my scheduled C-Section. Would I…. could I…. do this? I was pretty confident up through September. I was leery of the first 2 weeks of October. I mean, anything COULD happen. Based on my last pregnancy/birth, I had no reason to believe this baby would want to come out of my body without help (40 hours of labor ending with a C-Section and a baby who was 10lbs 3 oz for those keeping score from the first time!). 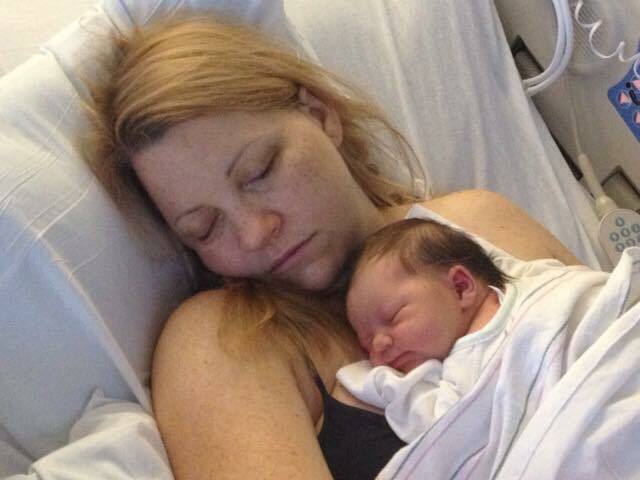 This baby was also trending big, so I was pretty sure I wouldn’t go into labor. As a “just in case” I brought my mom along on the last 2 gigs- just in case I needed someone to take me to the hospital! Both gigs were 2 hours away so I thought it was smart to have somewhat of a Plan B. The last gig before the birth, I was having some fairly severe pain in my abdomen. It was really just the baby’s position, but WOW. I was a little worried how I would get through it. 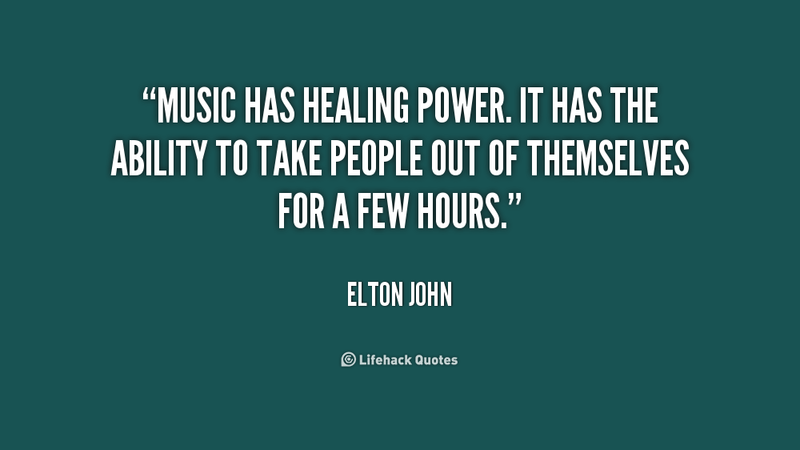 But, as per usual, once the music starts going, and I get to singing- all things physical resolve themselves. It is amazing, the things I have sung through, but this one was up there! Thank goodness, because the following day I said, “I’m glad this is the last day, because I can’t take much more of this. I could hardly walk. I could hardly lay down, my sciatica was at level ELEVEN. The birth couldn’t have been more night/day from the first one. I went into the hospital fairly rested and had eaten just before midnight (as opposed to 40 hours before the birth). 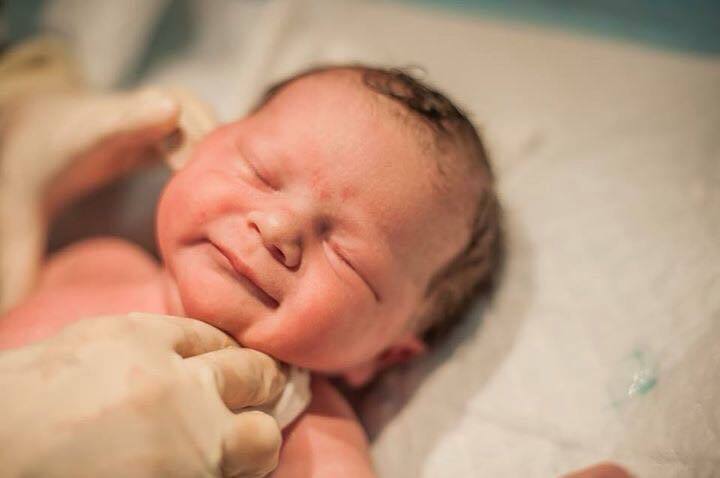 Walked myself into the delivery room with my favorite doctor of all time and came out with a beautiful new baby, this time an hour earlier than expected! It was so much easier and relaxed than before. I even got our good family friend Kim as my nurse afterwards, which was so nice. We came home and started our lives with this new little girl- Mary Elizabeth- M.E, (pronounced “Emmie”). The birth itself was amazing. I will never forget when they held that little kitten (she REALLY sounds like a cat- even still!) over the curtain, covered with goo, screaming her head off… wow. What a beauty! A week early, she weighed in at 8lbs 10oz. 21.5 inches. They did get her cleaned up quickly though… and we got to see that hair… that CRAZY HAIR! Nobody in my our immediate family has had a kid with hair like this. I had a cousin or two… but this was not the bald baby I was expecting! Her hair was really almost black at first. It’s settled into a nice brownish/reddish/blondish mix at three months, but much of it has fallen out. 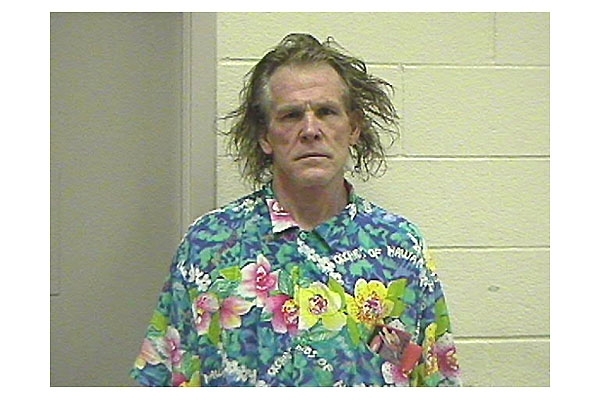 It’s so wild that every morning I swear I’m waking up to Nick Nolte’s mugshot. We’ll see what happens. I have a feeling the second the sun hits it, it will get all super strawberry blonde. Can’t wait for summer! Note how the hair sticks out on the sides… hard to capture. And yes, she is WAAAAY cuter than Mr. Nolte. 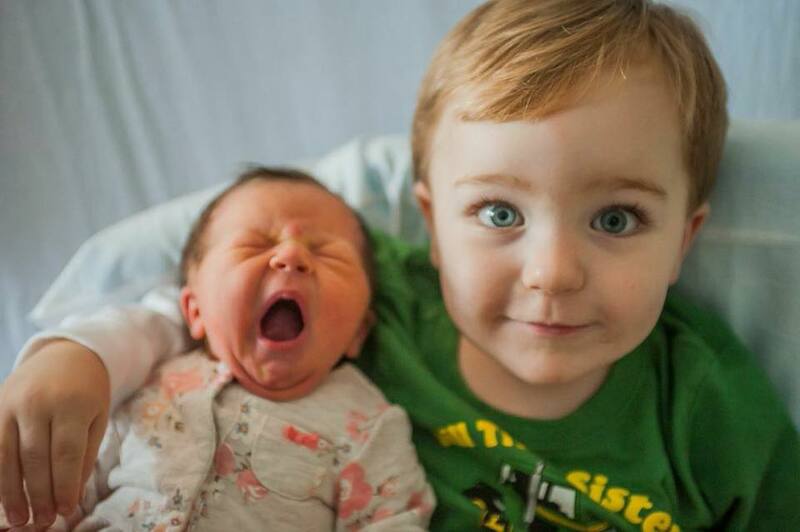 Patrick has been doing great with his sister. He’s not so happy with me all the time, but loves the baby. 🙂 It’s ok. We’ve pretty much worked through it. 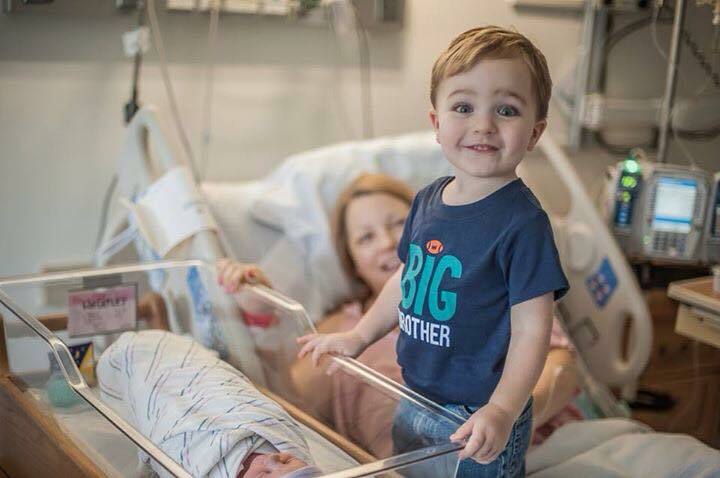 But he welcomed his sister with open arms. Always so concerned about her well-being. “Don’t worry, Baby M.E. It’s ok. It’s ok.” What a great brother. I’m so glad they have each other. 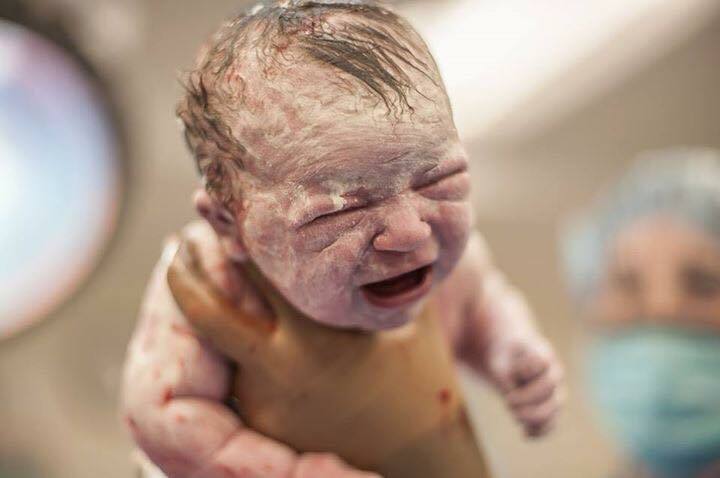 The second C-Section was so much easier to get over. I think for a combination of reasons. For one, having had one before, a lot of the nerve endings in the abdomen are dead. Good. Who needs ’em? Secondly, there was no 40 hours of trauma beforehand. Thirdly, I did not have the breastfeeding complication I had last time (an abscess which took an entire month to heal- something from which I still bear a scar). I’m happy to say we’ve been exclusively breastfeeding for going on 4 months, and this baby is growing and growing! Amazing what our bodies can do, ladies. To grow a baby and then keep growing them once they come out. They say that even though it didn’t work the first time, it really paved the way for things to work out smoothly this time. For that, I am thankful. The next gig was a week and a half away, and thank goodness we had someone to cover for me. Though the day of, I started off feeling so good, I would have been tempted to do it. But then a terrible headache took over for the next several days. I was dehydrated, as it turned out. Not eating/drinking nearly enough. But it’s the last thing you are thinking about in between feedings, diapers, a 2 year old running around and oh yeah, no sleep. I got back on track quickly, and it was a good thing because I had so many gigs to do between the band and the church, I was booked a few times a week for much of November- starting Nov. 1! I’d just had major surgery on Oct. 13, and here it was Nov. 1, and I was playing a wedding with really no trouble at all. The baby came along with my mom and I’d feed her on breaks. We did a good job of keeping it under wraps, too. I know my bandmates thought I was nuts, but oh well. One of my biggest fears is to let anything stop me from playing music- even kids. Thankfully, everyone has been very understanding- husband, family, bandmates one and all! 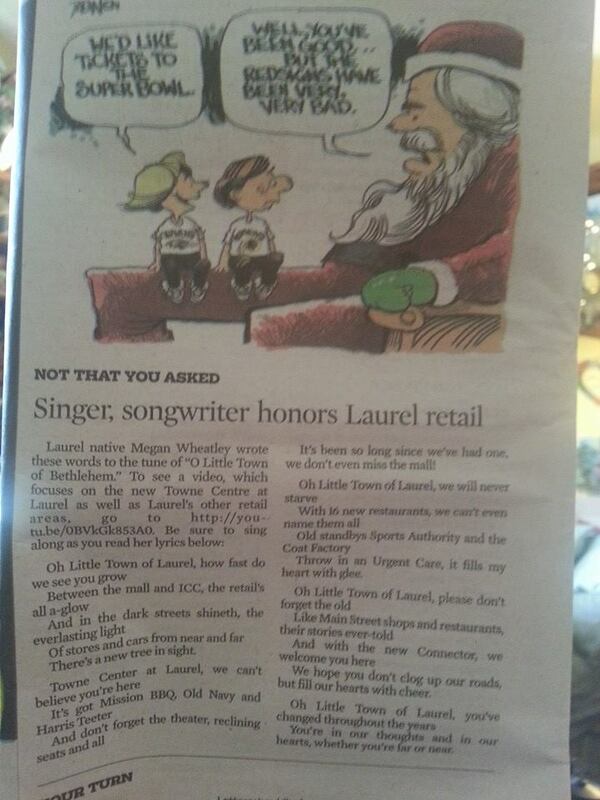 In the midst of all this, I managed to make my “Oh Little Town of Laurel” video/song, get airplay on Laurel Cable Access, and get written up in the local paper. The band ended up getting a few last minute corporate events, which was great and perfect timing at Christmas. 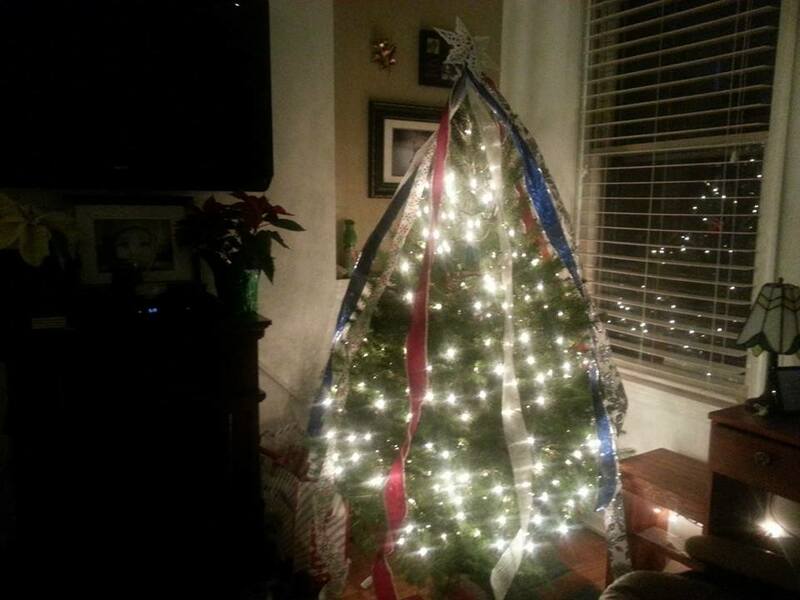 I even got a free Christmas tree with lights at one of them! Thank God for small gifts! 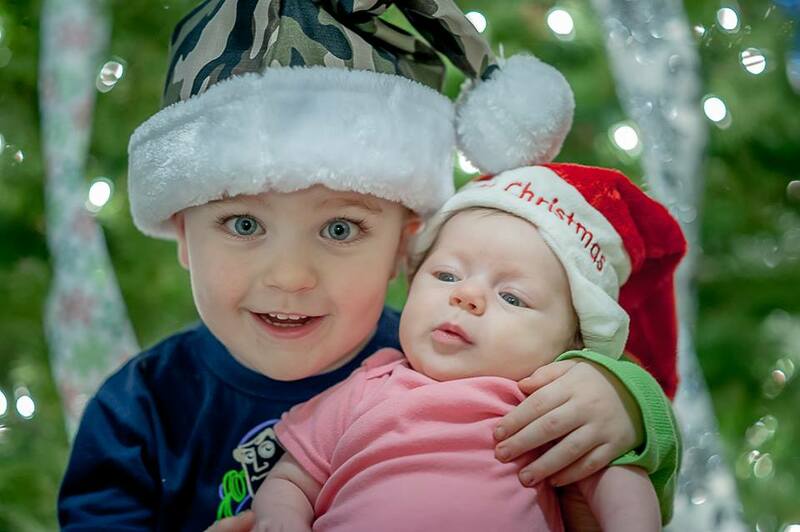 Christmas was great- M.E.’s first Christmas, Patrick’s first that he actually “got”. It was really a wonderful day. Patrick is a great big brother- loves his Baby M.E..
To wrap up the year, I finished two more songs for The Rhythm Surf Monkeys… with baby in tow. I’ve been doing a lot with her in tow! 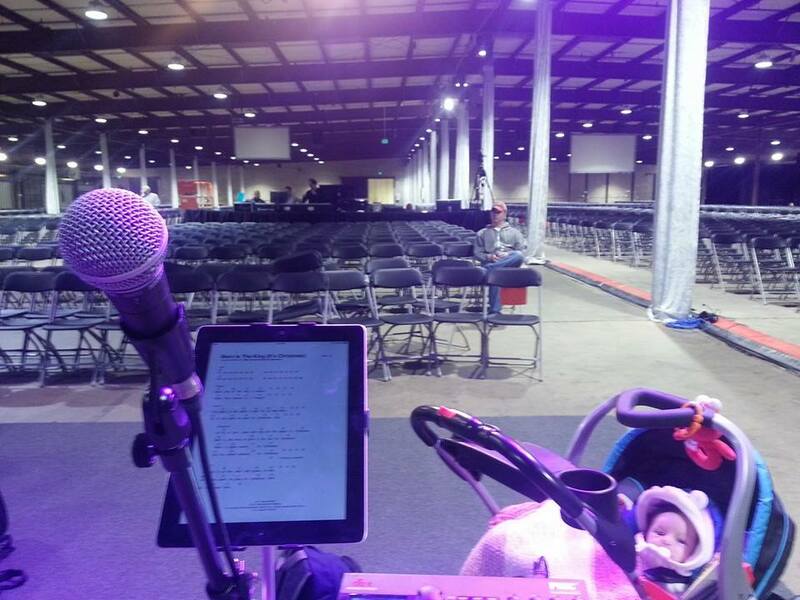 Rehearsals, sound checks, gigs… talk about “no child left behind”. She seems to really love the music. At rehearsal, she only stirs when we are talking in between songs. But, really, she spent all her life up until birth surrounded by music, I guess it makes sense. What a great way to start off. Well, that’s “all” for now. I know it’s a long one. Back to the drawing board with the blog. Can’t believe it’s 2015. FEBRUARY 2015. This year is already flying. I finally got around to doing another Christmas song for my hometown. It’s been a long time coming. I made the video “The 12 Days of Christmas, The Laurel Edition” 5 years ago, as hard as that is for even me to believe. So much has happened in those 5 years! For one, I was not a WayOutMama at that point, so it was nothing for me to take my time, collaborate with friends, record it whenever I wanted… this time around was a little more difficult. I got the inspiration to write the words one night- that was the easy part. They just flowed out like words usually do for me. I think it was written in about 7 minutes, though I did add the tag at the end after the fact, after my mom said it needed a wrap up. So add on about 1 minute. They really do just come out that fast sometimes. Now the implementation actually recording the song and getting footage around town was not an easy feat with a 2.5 year old and an 8 week old. I just strapped my GoPro on my head and filmed the city while I was running errands, looking much like a coal miner. I’m sure I looked pretty silly, but WayOutMama doesn’t care! The really hard part was finding time to get a recording done, so luckily Auntie Sheryl took Patrick out for a few hours so I could figure out the set up, and then after everyone was asleep, I just went for it. I did 2 full takes, but was so scared I’d wake someone up, I just went with the better of the two. Sometimes in recording, you will find that after a bunch of takes, you end up going with one of the earlier ones. Well, if you are already tired, especially. And I was! I recorded it on my iPad as troubleshooting the GoPro can be pretty time consuming. Then I spent a few hours on the editing, feeding the baby on my lap while doing so. It was a late night, and an early morning, but well worth it. 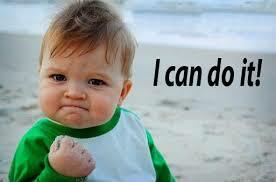 While things are a little harder to accomplish with kids, nothing is impossible. Just takes some creative time planning and a few helpful hands. I give you, “Oh, Little Town of Laurel”.